If you live in the UK and are wondering if there is something useful to do with that dried out evergreen in your living room, the Linton Zoological Gardens may have your answer. 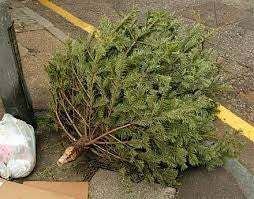 They are soliciting for donations of old trees, dead or alive, after the holidays to use for various purposes around the park. They will use the trees to decorate the enclosures and they will eventually put them in a bio-burner to provide heat and hot water for the facility. But in the meantime, they are giving some of them to the lions to play with. It looks like they are a hit! Trees can be dropped off right at the zoo's front gate.